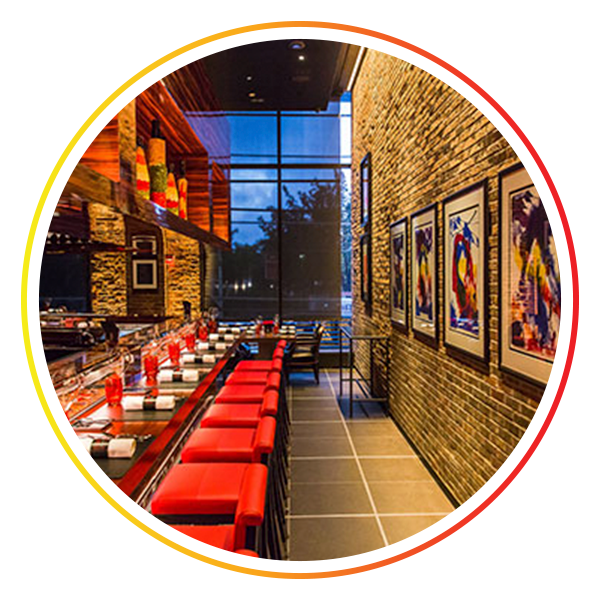 L'atelier Joel Robuchon opened in Chelsea in the former Tom Collechio (Colicchio & Sons) space. He has transformed the cavernous restaurant into a sumptuous (red) bar and dining room. I fell in love with his cooking in Paris, and then Bangkok, and have since been craving this cuisine. The best seats are situated around the kitchen where a large staff intricately prepares the food. This food is fancy, make no mistake, but it tastes great. There are no superfluous ingredients just to dazzle guests. You can choose between small plates, a la carte, or fixed menu. I prefer small plates to try a variety of items; three-courses is plenty as the portions are generous, especially considering the offering of an amuse bouche, amazing (truly stellar) bread selection (worth every carb), and some chocolates. JR is a master of Fois Gras (if you like that), and his signature sliders come with a generous helping. Go there now before everyone else does!